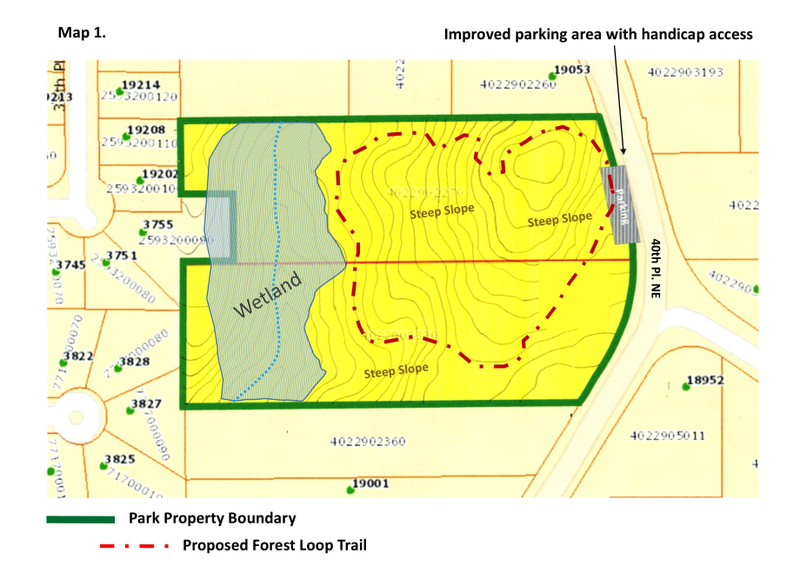 On Saturday, April 14, from 9:00am to 12:00 noon, you are invited to volunteer with the Lake Forest Park Stewardship Foundation at the newly acquired 5 Acre Woods property. Volunteers are asked to meet 9:00am, where the day’s tasks will be removal of invasive ivy and to restore the health of the new park property. 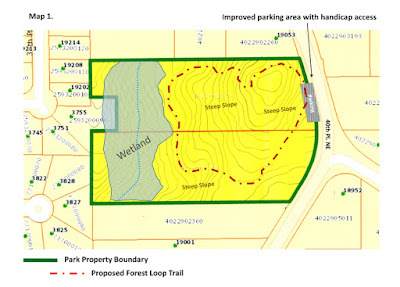 By joining Saturday, you will have the opportunity to comment on Preliminary Concept Design and Potential Park features with City staff and Consultant, the Watershed Company. Wear sturdy shoes and be prepared for uneven terrain/ mountain beaver holes. Some tools will be provided but feel free to bring your garden shears, loppers, folding hand saws or metal rakes. Leave your power tools at home but don’t forget your gloves! Dress for the weather (rain or shine) and feel free to bring family and friends to help volunteer at the work party, no experience required! Children 14 yrs and under require parental liability waiver and must be accompanied by parents. There will be a volunteer table to check in and receive direction. Questions? Contact Polly by email polly@thesaunders.net or phone (206-999-1406).